These technologies can be successfully employed in a wide variety of applications including classrooms, gymnasiums, hallways, parking garages, retail space, conference areas, office space and more. The techniques and technology we use can help reduce energy consumption by up to 50% and when installed in conjunction with utility rebates, can pay for themselves in 12-24 months. 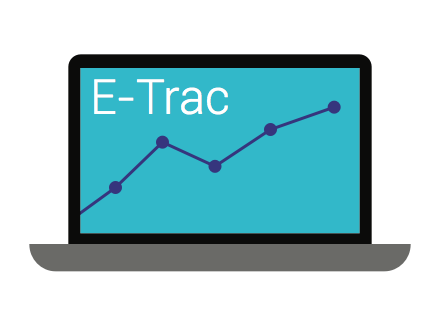 Our E-Trac™ system constantly monitors dozens of your energy usage parameters including what you pay for on your electric bill, Demand (Kilowatts or KW) and Usage (Kilowatt Hours or KWH). Utilizing our energy optimization features you can gain insight on your real time energy usage, make adjustments to your controls. This graph illustrates the KW demand for a typical classroom based upon two different control technologies; standard occupancy sensors and OccuDimming with Daylight Harvesting. Just by scheduling when your lights turn on and off can significantly reduce your energy usage. Even Turn on HVAC with controllable thermostats and the energy savings quickly adds up. Many facilities are over-lit and can therefore be tuned down 10% to 20%. During night time hours when eyes have adjusted, lighting at full brightness levels is unnecessary and sometimes objectionable. Reduce light levels during these times and save energy. 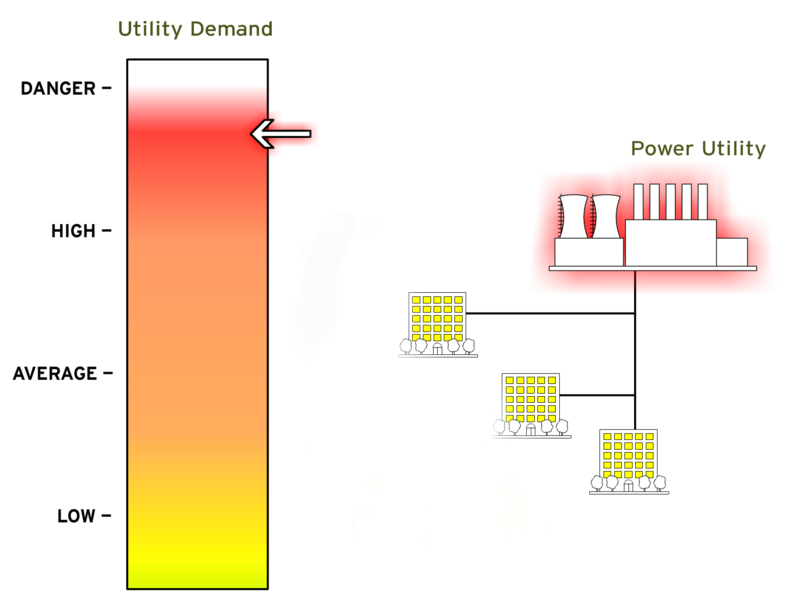 Demand Response is the ability to decrease energy consumption for short durations during specific periods. Usually these periods correspond to peak energy consumption events on the electrical grid. However the need for regional energy curtailment can also be the result of equipment malfunction such as power plant failure or transmission line interruption. The ability to curtail energy consumption during these periods is generally compensated by the local utility or a third party aggregator in the form of monthly payments and event specific revenue. Plimoth Bay Controls innovative control design incorporates technology that allows for instantaneous and simplified electrical load curtailment. These events can be initiated manually through the local control, remotely through an internet connection to a utility sponsored Demand Response Automated Server (DRAS) or Plimoth Bay Controls’ system management DRAS. If you have an appliance that could benefit from being controlled or scheduled to save energy, chances are we can control that too. We’ve created custom control solutions for motors, air vent fans, and even pottery kilns all to help our customers save energy and money. Please contact us so we can find the solution that’s the perfect fit to help you start saving. We care about the environment and during periods of excessive energy consumption, utilities are forced to start less efficient, high pollution producing generators in order to meet demand. The ability to reduce consumption during these peak demand periods significantly decreases or even eliminates the need to start these older units. This action can significantly reduce or completely eliminate the release of millions of tons of pollution into our environment.